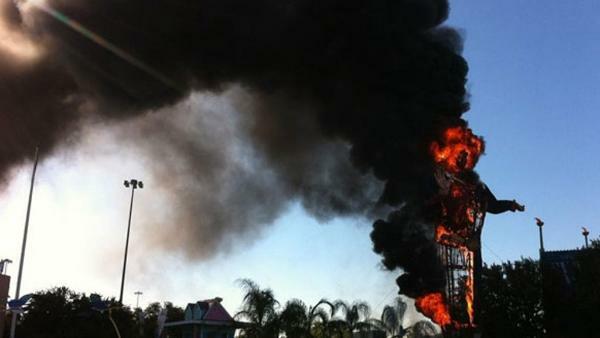 Noah’s Friend, Big Tex, Burns Down At The Age of 60. You are here: Home / Family / Noah’s Friend, Big Tex, Burns Down At The Age of 60. Today is a sad day for State Fair of Texas fans everywhere. I’m sad to report that Big Tex, the official voice of the Sate Fair of Texas has burned down. If you know me in real life, you know how big of a fan I am of the Sate Fair of Texas. In fact, I’ve wrote about Noah’s first visit to the State Fair. For those of you they may not be as familiar with Big Tex, or the State Fair he is a Texas Icon. Heck, there’s already a Big Tex Memorial site where you can come and share your favorite pictures! 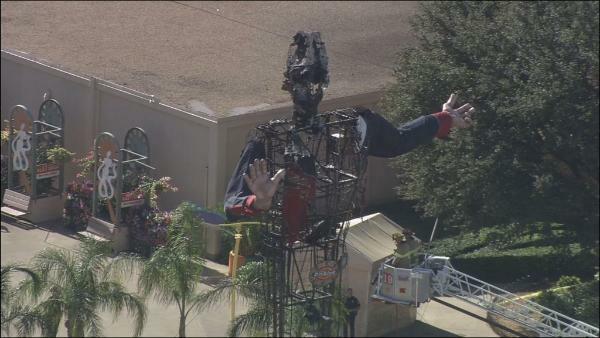 It’s hard to believe that after 60 years of faithful service, Big Tex has caught fire and burned down. But here’s something you may have not known. Did you know that Big Tex himself is actually a friend of Noah’s? It’s true. He even gave him a video shout out. I posted the video of Big Tex burning down below, but be warned, it’s one sad video. Here’s a few pictures that shows Big Tex going down in flames. Big Tex is such a big deal, today’s tragic event made national news. Here’s a few of the headlines. 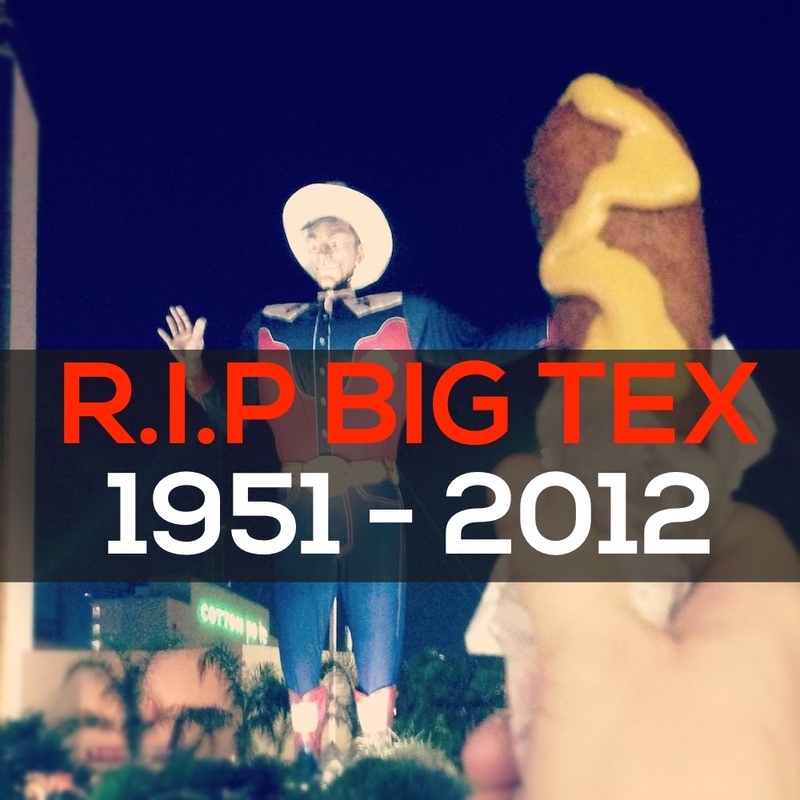 Big Tex, you will be missed. Thank you for 60 years of epic State Fair awesomeness. Have you ever been to the State Fair of Texas? Huge bonus points if you post a picture of Big Tex in the comments section.